Jason has been a business banker with Fifth Third for the past seven years. He has over 13 years of financial industry experience working with businesses across many industries. Jason services companies with revenues between $2MM-20MM bringing additional expertise to manufacturing, childcare, restaurant, and service industries. Within the manufacturing sector, Jason has developed a unique understanding of the craft brewing / craft distilling industry and is an active member of Georgia Craft Brewers Guild. Jason is passionate about helping his clients grow and exceed their goals. This commitment to his customers and knowledge of the market has earned him recognition as a recipient of the prestigious Fifth Third Bank President’s Circle award. Jason is a graduate of the University of Georgia’s Terry College of Business as well as Leadership Cobb and Leadership North Fulton programs. He has been recognized as one of the 20 Rising Stars Under 40 Cobb Life Magazine and has received the Cobb Chamber Next Generation award. He lives in Woodstock with his wife and four daughters. 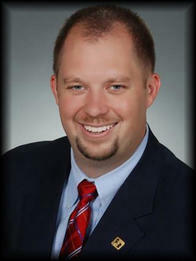 Jason believes in giving back to his community and has been an active member of the Cobb Chamber for the last 10 years. He is also a member of the Honorary Commanders Class of 2017, co-chair for Cobb Youth Leadership, and a member of the board of trustees for Chattahoochee Technical College.